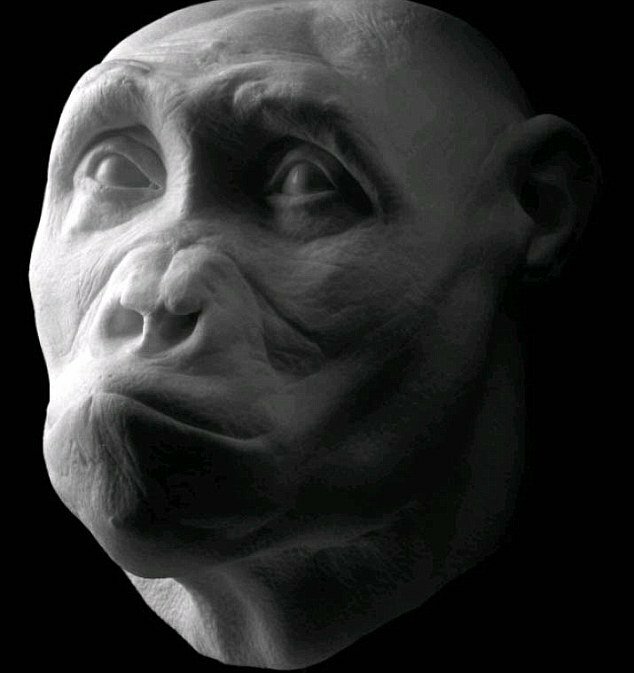 Scientists have used forensic technology to recreate some of the most distant members of the human evolutionary “family”, ancestors stretching back seven million years, an presented the models at an exhibition in Dresden, Germany. Forensic anthropologists created 27 model heads using fossil remains, and include a glimpse of sahelanthropus tchadensis, an ancestor dated to about seven million years ago, when our “hominid ancestors” first originated in Africa. They use similar computer-assisted techniques to police teams attempting to reconstruct human remains – and the near-complete skulls of ancestors such as sahelanthropus tchadensis have allowed researchers to reconstruct lifelike faces of what ancestors might have looked like. Salhelanthropus tchadensis dates to a time before humans and chimpanzees, our closest evolutionary cousins, became genetically separate, about seven million years ago. “Using forensic anthropological methods, the various hominids were recreated not as characteristic ideals, but as individuals,” says the museum in Dresden. Some of the oldest spears ever found are also on display – dating back 400,000 years. “There is little doubt that Africa is the cradle of humanity: this is where the most ancient remains of our ancestors were unearthed,” says the museum. “The exhibition introduces you to the excavation sites in Africa where scientists are conducting research into the origins of mankind.